A Hamilton man has gone from gamer to successful developer in impressively short time by clawing his way towards a daunting yet achievable goal. Self-described 33-year-old gamer dad Duncan Bourke is the sole creator of Starship Theory, a PC exclusive ship building survival game that launched on Steam Early Access last week. In the seven days after that, Starship Theory sold more than 10,000 copies at NZ$12-15 a pop – not bad for a guy who taught himself to code in his spare time while helping his wife raise their newborn son. Two years ago, Bourke and family had just moved back to New Zealand after a stint Australia. The former teacher turned professional development worker had zero game development experience, but decided he was spending too much time playing video games, and that it was time to make one. Bourke set himself two goals: half the time he spent on his PC would be dedicated towards this project, and the project would one day be released on Steam. The latter was a way of ensuring he wouldn't start the project but never finish – something surely everyone reading this can relate to. Bourke's goals were imposing, but he gained confidence by cultivating productive habits. He'd look after his son during day, and work on his game at night. "At the time, I though that I could probably get something through Greenlight," Bourke says. "To me, that was my only goal. It was a real accomplishment to me to just release something. I thought I should try and work on it every single day, so every single day I did my best to open the program up and do something. Some days it was all night, some days it was 20 minutes." Bourke decided he would make his game in Unity, because there are plenty of free yet high quality Unity tutorials available on the net. 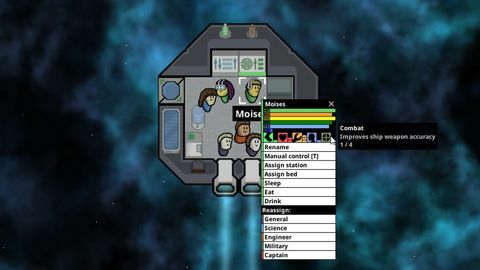 He found YouTuber quill18 particularly helpful, and soon set out to make a game in the vein of those he most enjoyed: FTL: Faster Than Light, Dwarf Fortress, Prison Architect, and Rimworld. As you'd expect, such a thing is easier said than done, and the temptation throw in the towel or chase perfection was strong. "Many times over the development of Starship Theory I wanted to start over," Bourke says. "I look at it now and think I could do it better, but for me it was about refining the scope, honestly cutting out features, and working towards to the point that I could actually release something." This focus allowed Bourke to chip away at his intimidating task, and he slowly grinded away until one day, what emerged was actually fun to play. Then, two years of part-time work from when he had started, his game was ready for Early Access. Released by Bourke's solo outfit Reconnect Software, Starship Theory is a survival game that has you mine and trade to gather resources, plan and construct upgrades, train and manage crew, and fight to survive in the darkness of space. Bourke isn't shy about the game's inspirations. 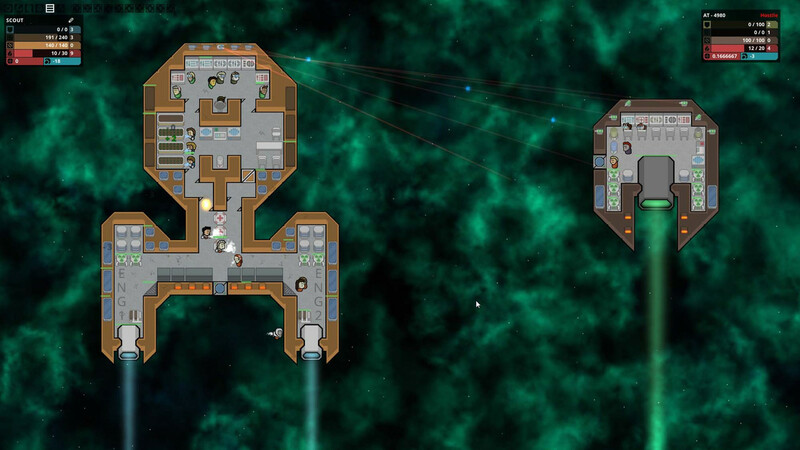 It superficially resembles FTL, but allows you to design your ship, opening up various designs that allow for varied playthroughs. "Starship Theory isn't an extremely innovative idea," he says. "It combines elements from games that I really enjoy like FTL ship control, Rimworld or Prison Architect base building, EVE Online power management and the way the combat works." "Many times over the development of Starship Theory I wanted to start over"
He tried to combine elements of ship building and base building, but "the survival guys would like it to be a bit more survival-y, and the base building guys would like it to be a bit more base build-y." Bourke estimates the game will remain in Early Access for 18 months or perhaps longer, and over that time he wants to develop features the community is excited about, which aren't always things that are aligned with his own plans. "It's tough in the Early Access environment," he says. "I see Early Access as just that: releasing something that's pretty early and developing that alongside the community. But as a purchaser of Early Access games, I think people have pretty high expectations, and I think that's probably fair – I'm charging money for the game. I tried to price it at the lower end of the scale, but I do think people expect a pretty polished title in Early Access, and that's just one of the pros and cons of the whole system." Incoming updates will centre around customisation, and include furniture, painting, and other cosmetic additions. Bourke also hopes to add more random events and a star map to the game. A cursory browse of the game's Steam reviews show that many people think the game is currently too hard, and Bourke agrees. 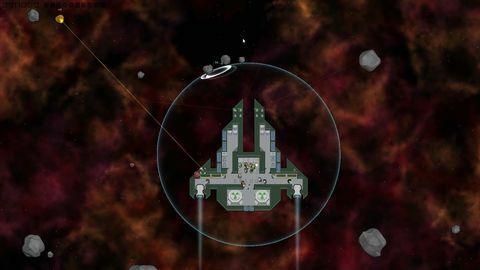 A tutorial and difficulty levels might be added in later, the game's dice rolls will get reduced to give players more strategic power, and new players will be better supported to give them more time before "that first asteroid smashes their cargo hatch straight off the ship and they lose everything". However, more content will be added in first. 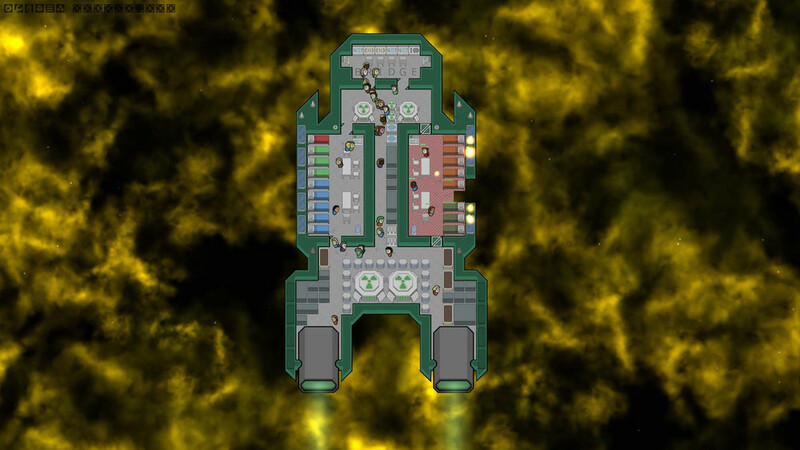 Even though it's incomplete, Bourke is pleased with how Starship Theory has turned out so far. After all, it's a small game from a first-time dev, made on a budget of NZ$1000 (half of which went to registering the trademark), released with zero marketing. "I'm just thrilled I've managed to get something released on Steam that somebody has looked at and thought, 'I'd pay money to play this'," he says. "I'm just stoked that anyone wants to play it to be honest. [The game's success] has been a real bonus, but my original goal as just to start a project finish a project and release something." ◆ Starship Theory is available now via Early Access for NZ$15.